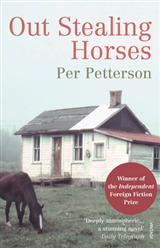 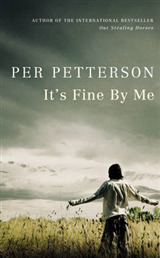 Petterson's debut novel, published in English for the first time Twelve-year-old Arvid and his family are on holiday, staying with his grandparents on the coast of Denmark. 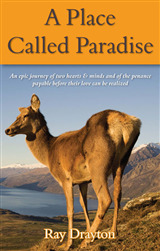 Dimly aware of the tension building between his mother and grandmother, Arvid is on the cusp of becoming a teenager: feeling awkward in his own skin, but adamant that he can take care of himself. 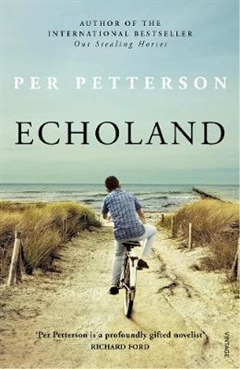 As Arvid cycles down to the beach with its view of the lighthouse, he meets Mogens, an older boy who lives nearby, and together they set out to find fresh experiences in this strange new world. 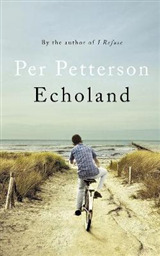 Echoland is a breathtaking read, capturing the unique drift of childhood summers, filled with unarticulated anxiety.